Your wages have been garnished or your bank account has been attached. The filing of bankruptcy will give you the ability to stop the wage garnishment and wipe out the debt. Your total outstanding unsecured debt is overwhelming and more than you could pay back even over five years. You are receiving calls from collection agencies at home and work and even friends or family members are receiving calls from these collectors. The bankruptcy will stop the calls. Your payments are far behind. There are lawsuits pending against you and a judgment may possibly be entered as a result. You have high medical bills not covered by insurance or are expecting medical treatment soon and do not have insurance. You owe taxes to the IRS or State that you are currently unable to pay. You do not have much in assets. You do not have any savings. You have had property repossessed (such as a vehicle). Your credit is already significantly damaged so filing a bankruptcy does not impact you that much further. You are about to have your wages garnished or a levy on an account. You have a pending mortgage foreclosure and wish to save your house. You have a pending sheriff sale and wish to save your house. You are self employed and your business is in trouble now, but you believe that the business is turning around. You have high debt but your spouse has none so filing without your spouse is an option. You think you could pay a percentage of the outstanding debt, but not all of it. You need to protect assets from creditors that are pursuing you aggressively. 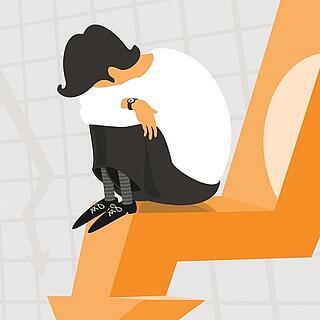 These are just some factors to discuss and think about in deciding whether to file bankruptcy. If you are in a situation in this list, you should consult an attorney as soon as possible. Our bankruptcy attorneys in Wayne and Hoboken, New Jersey are available to answer questions you may have. We represent clients throughout New Jersey and New York. Call now for a FREE consultation.